Lions of Belle Fourche: Come and get 'em! 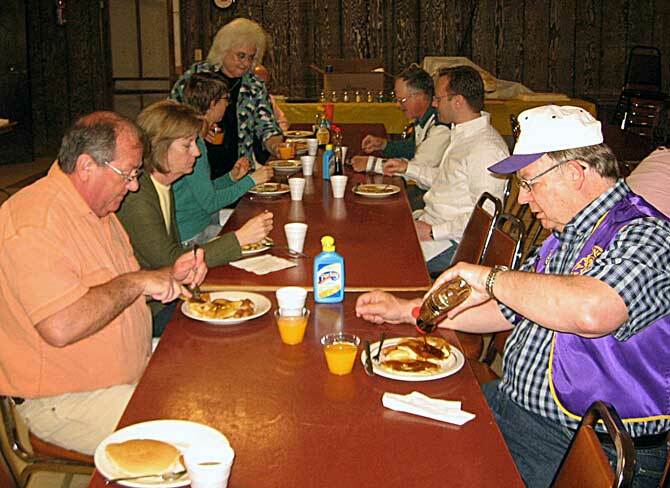 The Belle Fourche Lions Club held a pancake feed at the Moose Lodge on April 25th. 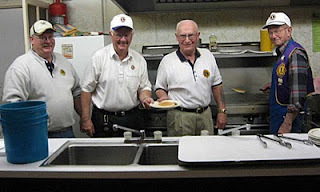 At left, Lions Rick Walton, Lee Voyles, Gerald Keil and Bob Schnaible pause from their chores. 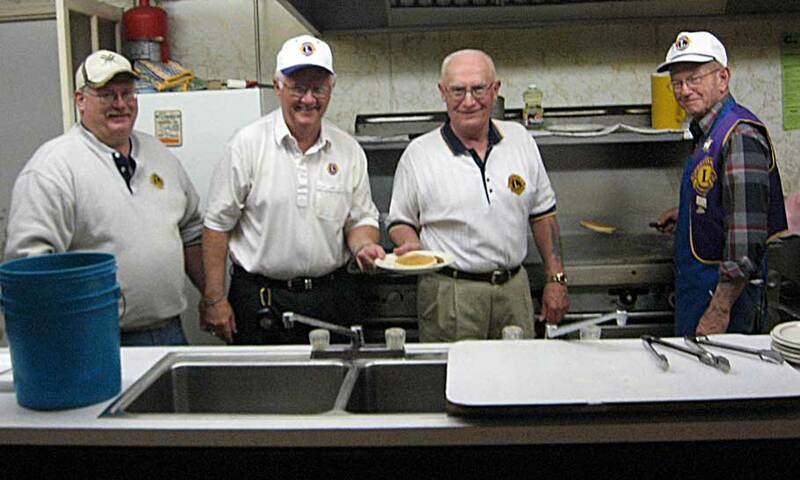 Pancake feeds have long been a favorite event for Lions clubs across the country -- and the Belle Fourche Lions Club is no exception. Those flapjacks helped create lots of happy smiles -- and full tummies! Below, at right, among the many partakers of the good stuff were Alyce Voyles and members of the Voyles family. At right is Lion Eric Beals. We'll add information about the pancake feed once information is made available.